Home » Reviews » RankBrain or Brain Ache? Achieving a high rank on Google used to be about working keywords into content and adding a smattering of links to help show its algorithms that your site was of a good quality. With the arrival of RankBrain however, the rules of SEO could be rewritten once more. Aside from its odd name, RankBrain is an update to Google’s search engine which is arguably more complicated and difficult to grasp than any of its predecessors, in spite of the fact that its creators have actually provided a fairly thorough description of what it is meant to achieve. So will RankBrain really be a headache for businesses, or does it in fact present an array of potential opportunities to optimise websites in ways that will boost search ranking while improving the user experience? RankBrain is so called because it can think for itself – it uses machine learning to get better at doing its job over time and will continue to do so without the need for intervention by engineers. What RankBrain actually does is deal with discovering the intent of queries, pulling up relevant sites for users even if they have searched using words and phrases that are only loosely related to the topic at hand. This is all about making Google better at dealing with the conversational nature of voice search and the rise of mobile search, while enabling its engine to handle questions in a more human manner. As RankBrain encounters more left-of-field queries and strange syntactical assemblages, it will evolve and improve. This is all well and good, but what does RankBrain mean for search engine optimisation? Should businesses rush out to consult with professional firms like www.rycomarketing.co.uk/web-design.html who offer web design in Newry to avoid being penalised following its introduction? The truth of the matter is that RankBrain may now be the third most powerful ranking signal used by Google, but it had already been operating behind the scenes for several months before it was even officially announced. If your site was not negatively impacted earlier in the year at around the time it arrived, then it will not be a hindrance. To optimise for it today can be useful if tricky, because of its machine learning capabilities, so the best advice is to make sites with human visitors in mind, not search algorithms. 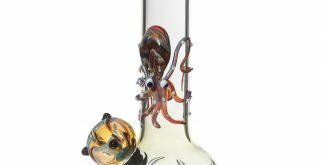 What you need to clean your bongs?